The Visual Science Lab / Kirk Tuck: Sony swings for the fences and ends up a little short. The hands on mini-evaluation of the new A7's. Sony swings for the fences and ends up a little short. The hands on mini-evaluation of the new A7's. Gloria. One light. Samsung Galaxy NX camera. 60mm Macro. Man, those product shots that show up on the web from Sony always look so great. When I saw the first salvo of PR photos of the A7 and the A7r my drool response was nearly simultaneous. And if they'd been in stock at the time I would probably be $2200 poorer right now. But it didn't turn out that way and chances are it probably won't turn out that way although Sony will still make a sale if the RX 10 is as good in person as the specs lead me to believe it might be. On my way to the PhotoPlus Expo I found myself musing about heading straight to the big Sony display and getting my hands on one of the cameras. I thought for sure I'd be fondling my future path in the Sony system. But instead of walking away in love I walked away wondering about the idea of manufacturing en charrett. En charrett is a phrase made up by 19th century French architecture students who would work on projects while being pushed on a cart to the place where the designs would be judged. They would work on their projects right up to the deadline (and one imagines that there was always a lot left undone before the bell rang.....). The Sony booth had a square table in the middle and A7 variants tethered to the top on all four sides. Here you could fondle both of the models to your heart's desire. So, I pick up the A7r, set the diopter for my eyesight and click the shutter. And in that moment it was like finding out that your beautiful date is also convinced she's been abducted by aliens and that the entire world is less than five thousand years old. The loud, high pitched click of the shutter was stunning. Absolutely stunning. At least I was stunned. Here you have a camera with no flapping mirror and it generates more disagreeable decibels than a moving mirrored Pentax K5-2 and at a more hysterical pitch. Ahhh. I thought to myself. I just need to enable the electronic first shutter and all will be well. Then the second of many shoes dropped. The denser sensor of the A7r (the high res version) doesn't support quiet. I mean electronic first curtain shutter. Oh well. I thought, and I moved on to the regular A7 and looked for the EFC in the menu. Even after I enabled that setting the shutter was still irresponsibly loud. And that's when I started making a more critical survey of the entire package. The camera is just about the right size for my hands but it is less well finished than the a99's I'm used to using. The design of the exterior just feels more primitive as though it came from a more primitive facility, from an earlier time. The squared off prism is an acquired taste I suppose, but it's one I'm having trouble acquiring... Then I moved on to the AF speed which will be of more interest to other than to me. It's not as fast as the a99. While the really good contrast detection AF systems are pretty darn good they aren't up to fast action. While the a99 is not stellar in this regard it is quite a bit better than the A7r I handled and modestly but obviously better than the AF in the A7 (which is supposed to incorporate PD-AF elements on its sensor. Finally, even though the body is sized to fit into one's hands in a nice way (and especially with a small prime lens mounted on the front) the new, smaller size means the camera is a considerable handling mis-match for lenses made for the original Sony FF cameras. The large Zeiss zooms and the big 70-200mm G lens are totally out of step with the more compact body size. In fact, if you are using legacy glass from Sony along with one of the adapters your shooting profile (where the lenses are concerned) is bulkier than with the larger a99 body. And that just doesn't make sense. While the body is smaller than the a99 once the lenses and adapters are mounted the difference between body sizes is trivial in the overall profile. So, in fact, nothing is gained except for the ability to use a wide range of older lenses with appropriate adapters. There's one more thing that irks me on this camera and on the Samsung Galaxy NX camera (which is in the same price range) and that's the fact that the menus include an "Airplane Mode" to turn off the connectivity features. That connotes to me that otherwise the camera is on and trying to connect all the time. I think cameras should only connect then I ask them to. But I am part of the graying of photography and my disconnection always hits right around the spot where someone tries to tell me how advantageous it is to stay connected all the time. Screw that. Sometimes I want to be in charge. If only Sony had gotten the shutter right.....I could live with just about everything else. I have a NEX-6. I totally understand and also wish there was a specific on/off for the WiFi. Full Frame sensor means bigger lenses. Bigger lenses mean slower AF as there are more mass of lens elements that have to move. It is an advantage of the micro-four thirds and Nikon 1. A7 vs A99 phase detection could be similar in speed but I am not surprised A99 is faster... larger sensors and more mature software for the AF. now remind me why did Sony's president kill the SLT design. That 6x7 Pentax shutter sound coming out of a mirrorless camera sure was surrounding. I was very impressed by the EVF personally. Large and easy to see. Not quite up to the D800 optical finder nearby, but very good. The shutter noise is disappointing. We have a little Sony RX100, and the electronic shutter on it is absolutely silent. When releasing a flagship camera, manufacturers should be careful to include all of the nice little features found in their lesser models. I know what you mean about the "connectivity" thing. Yesterday,after doing the free update to Windows 8.1, I immediately received a text message on my phone advising: "Reply 'stop' to turn off Facebook SMS." Not having a Facebook account, I ignored it and did nothing. About an hour later I get a text: "LOL to you" from somebody I don't even know. I immediately replied "stop" to the earlier text. I think we are doomed. The moment I saw (pictures) of the RX10 and A7 I wondered why they didn't style them as though from one family. It's as though the design teams never communicated with each other. I could imagine an improved A7 coming out in a year or two. This makes me all the more content to wait it out, and not pre-order. Especially now the Nikon has something in the works. You're not the first to have remarked on the the extremely noisy shutter of the A7R. Given that you and probably everybody else have been using pre-production samples (I would guess), I wonder if it wouldn't be relatively easy for Sony to fix the shutter issue. I hope so, because it's a deal-breaker for me if it's anything like you describe. This seems to be a habit of Sony. Their foray into DSLRs started with the A100. A decent image maker, but it fell short in certain aspects of functionality compared to comparable cameras from Canon, Nikon, Olympus and Pentax. They eventually caught on and introduced a few unique features, such as their two sensor live view system. They moved into FF with the A900. Again, a bit perplexing in that it left of Live View and was a big clunky beast when other makers were starting to trim things down a bit. NEX introductions seemed as though they couldn't decide on some things at first. Now we see the A7 lacking some expected features and overall seeming a bit rushed or unfinished. I think all of these efforts reflect what you mention with the en charrett. Sony says "Look what we can do!" and rushes something to the market, then decides how to improve it after the inevitable combination of people who love the camera and people who hate it. And yet, they will probably sell a arkload of A7s because they are FF, more compact and affordable compared to better featured cameras. Already people on some forums are predicting the demise of m4/3 because of this camera. Of course, they are people who think the only deciding factor of a camera is sensor size, then the size of the body, with those features that a working photographer, or even more experienced enthusiast, would consider deal breakers when combined and weighed against alternatives. Just as the A77 proved what Sony could do evolving the A800; the A99 the A900 and the NEX 7 the NEX series, so too do I think in another year or so we will see an A9 or other nomenclatured model that will realize the potential of the A series mirrorless concept. For now, personally, the lure of FF image quality doesn't outweigh the current shortcomings of the A7 or A7r. I'm with you on the RX10. I'm really interested in that camera. It would be wonderful if it could actually be the ONE camera solution. The Sony FF offerings not at all...big expensive Zeiss lenses are of little interest to me. Why do Zeiss lenses have to be so large? I used the A900 at a big event last month, and I felt like I was interrupting everyone because the shutter was so loud. However, I'll probably keep that camera until it dies, it makes great images and is a solid no frills money maker. Question is, are the new 7s louder than your 850?. PS.. Happy Birthday, and welcome home. I really have no interest in Sonys new offerings but have duly noted your comments about the body size relative to using legacy glass. Ergonomically speaking, having to use an adapter, and a additional grip to feel comfortable with the big lenses is precisely why I will not buy an Olympus EM-1 to use with my 4/3rds SHGs. I thought I was the only one complaining about how LOUD the shutter sound was! There was that weird "clanking" sound. I have a feeling they deliberately made it loud. For whatever weird reasons. Joe, equally loud but more irritating in timber. Looking at the specs - does it really only do 3:2 and 16:9? One of the things I love about mirrorless is previewing in different formats, like 1:1 and 4:3. Would you say the shutter sound was as loud as the old Leica R8 Kirk? That was the one thing about the Leica M8 I hated which utilised the R8 shutter, you took a candid photo under fairly quiet circumstances and had to cough loudly to mask the sound. I probably will always have FF envy. But I have an EM5 due to its small size and small lenses. Problem for me with FF, once you put fast FF glass on the camera, it gets big in a hurry which sort of defeats the purpose of a small body. 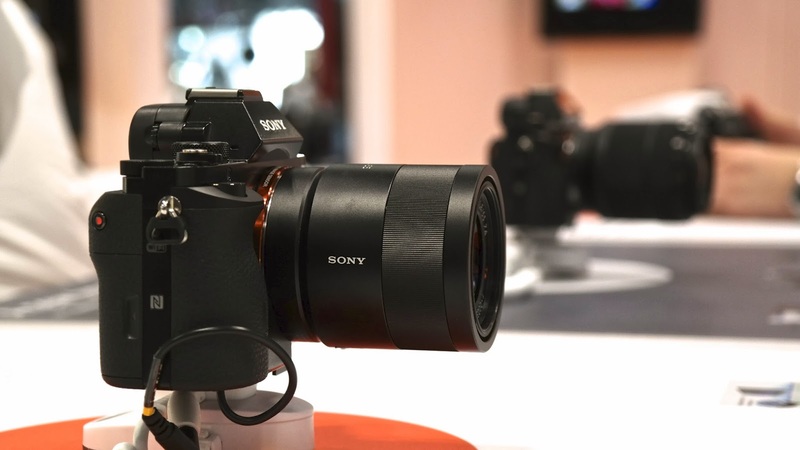 As someone else on the net said, Sony possibly came out with slow lenses so they could make them smaller and not overwhelm the new bodies so the initial public opinion would be "look, a small FF camera"
for all the nitpicking on Sony, I do have to applaud their move to mirrorless. they have more cojones than Nikon and Canon. Claire - I believe you will need the LA-EA4 adapter to work with the FF sensor. Kirk - Thanks for the hands on. 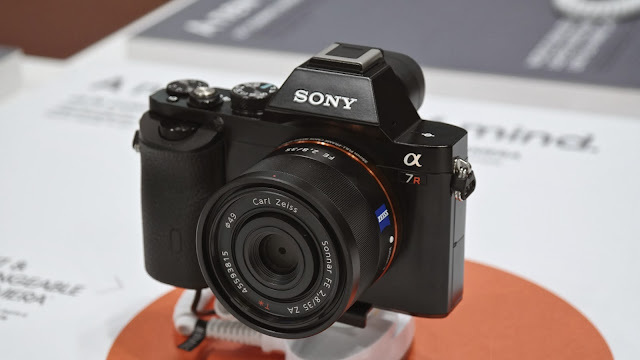 I've got the A7 ordered and am familiar with that feeling of "oh my god, this is going to be amazing, only to be confounded by some Sony shortcoming - for me it was the AF confirm in the A99. Still, based on the accounts I have read, yours included, I think I am all in. The versatility of this little machine, plus the promise of high IQ is too much for me to deny. Chad, that's one thing I am sure of...the image quality will be superb. And it is a lighter package to carry around. Your candor and skepticism is appreciated in this age of pollyanna reviews fueld by NDA junkets and affiliate commissions. Photography G.A.S. seems to be all about finding the point of diminishing returns, and then spending as far above it as possible. If the purpoose is to have a smaller camera with a large sensor and changeable lenses, it seems NEX and MFT would be better value propositions, in terms of potential image quality per dollar. 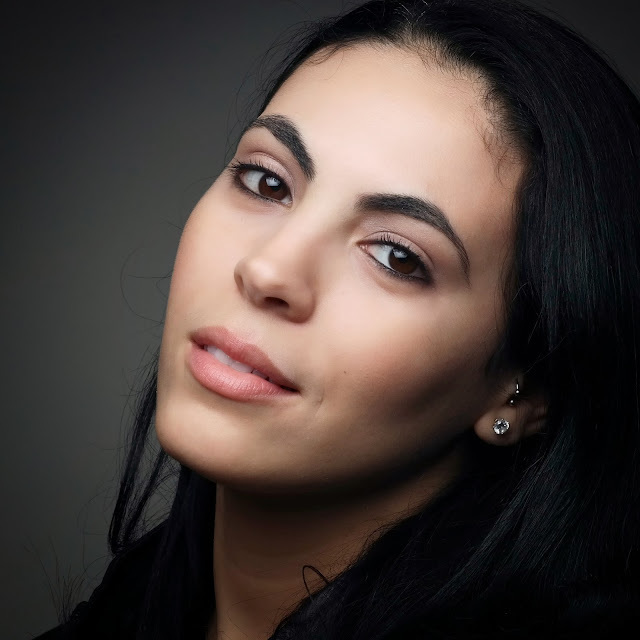 If you look past sensor size, micro four thirds is more compact, more mature and less expensive. The Olympus 17mm f/1.8 gives an effective AOV of a 35mm, and the equivalent DOF of f/3.5--not that far off from the Zeiss 35mmm f/2.8 on the A7. Practically, the autofocus speed and accuracy on the 17mm is up there with many SLR pro lenses. The combined cost for the OM-D E-M1 and 17mm is about $1900; less than the A7 body alone. You could easily find a NEX setup in the same price range. If you stay off 100% magnification and print 11x14" or smaller, the display media renders the IQ difference moot. I expect the A7r to have superlative image quality--I'm just not sure if the modest size savings are worth what you give up in autofocus speed and what you pay up at the cash register. I'd heard that the shutter was loud ... maybe from people who expected m43 type silence. When I tried it out at PPE, it was quieter than I'd expected. Less obtrusive than my NEX-5. Nothing that would keep me from using it. But it's not on my radar just because I don't need a FF camera. Thanks for reporting on the A7 : it was an interesting reading. As a side note from a native French speaker : the correct writing is "en charrette" with a mute "e" at the end. The expression which was initially used by architects only tends to spread to other professional creative activities where you need to work extra hours to meet a deadline. I cancelled my order of the A7 (which does have an electronic shutter) but not for the reasons others have posted. I have a pair of Panny GX7s and, with native glass, the µ4/3rds promise actually delivers. The bodies are completely silent (though auto ISO is limited to 3200); the EVF is good enough; the ergonomics are excellent. The bodies are sufficiently customisable and you can mix and match dials and touchscreen any time—this means that selecting focus points or choosing Quick menu items is REALLY fast. All the primes are sharp wide open and focus closely, so nice OOF character is easily obtained. Yes, I would like to use my legacy CV and Oly glass on the A7 body, in time, but I will wait for another FF camera that ticks more of the boxes I need (and I definitely do not want any camera connecting to the net by default). The big must-haves for me in a compact FF mirrorless is lenses that fit the body (and the legacy glass does that) and a silent shutter. Which cameras have caught my interest right now.